Machine Gun Kelly releases a new video for ‘Swing Life Away’ featuring Kellin Quinn. Machine Gun Kelly gives his fans a trailer from EST Fest. Watch The Video above. During a promo run for his new mixtape Black Flag, Machine Gun Kelly opens up to DJ Green Lantern and Boss Lady on Invasion Radio about maturing as an artist and not being given the respect he feels he deserves as an emcee (“I feel like I’m denied access to even being in the ‘class’ of hip-hop”). Machine Gun Kelly liberates new video for ‘Black Tuxedo’ featuring Tezo. Directed by SPORDY19XX. 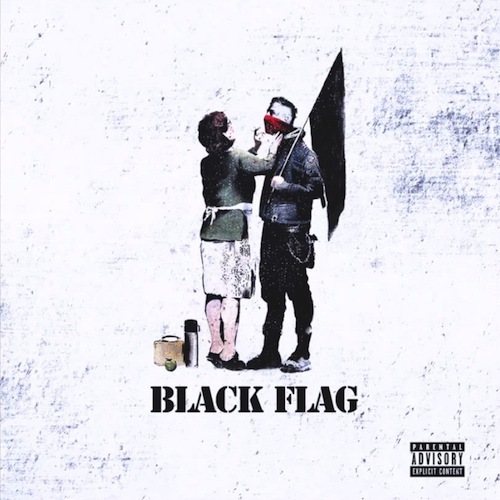 Machine Gune Kelly releases his “Black Flag’ mixtape. Features from Pusha T, Meek Mill, Wiz Khalifa, French Montana and more. 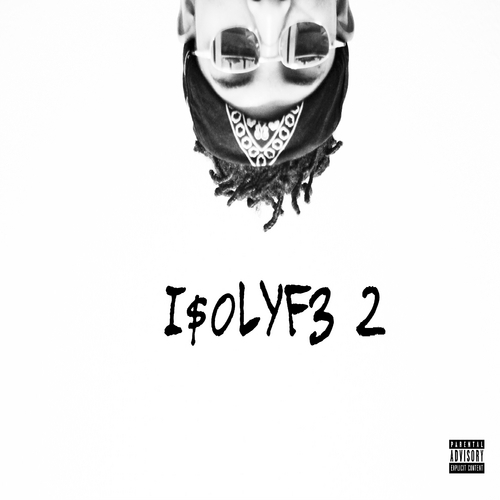 Production from JP Did This 1, Burd N Keyz, Dre$ki, Slim Gudz and more. Machine Gun Kelly lets loose a visual for a track he released yesterday called “Breaking News”. His Black Flag’ mixtape coming soon. Machine Gun Kelly releases a new track titled ‘Breaking News’. Off his upcoming mixtape ‘Black Flag’ dropping soon. 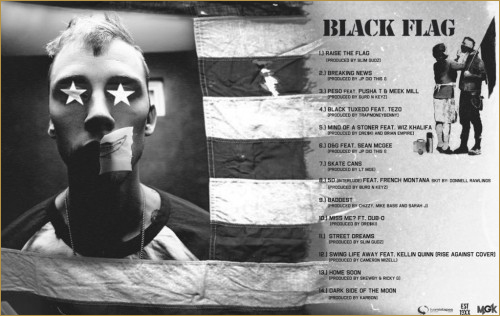 MGK lets loose the cover and tracklist for his free project “Black Flag”. The project features Meek Mill, Pusha T, Wiz Khalifa, French Montana and more. Tracklist Below.